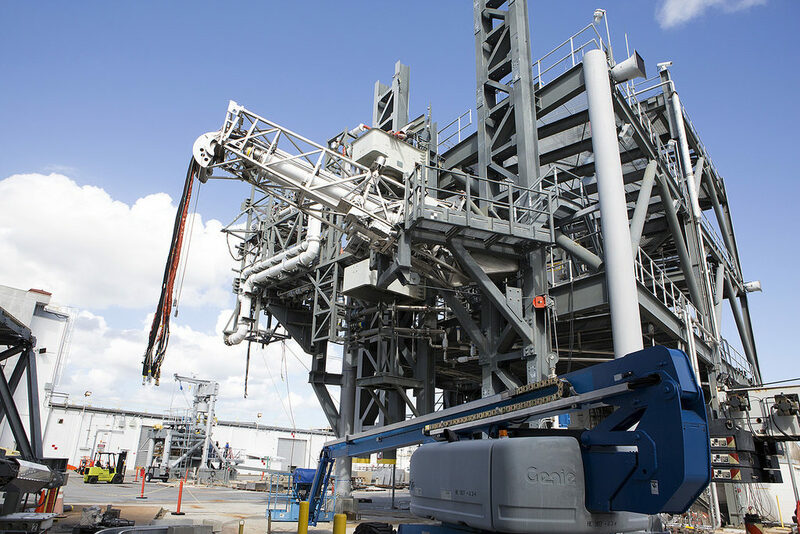 Progress continues to upgrade the flame trench at Launch Pad 39B at NASA’s Kennedy Space Center in Florida. 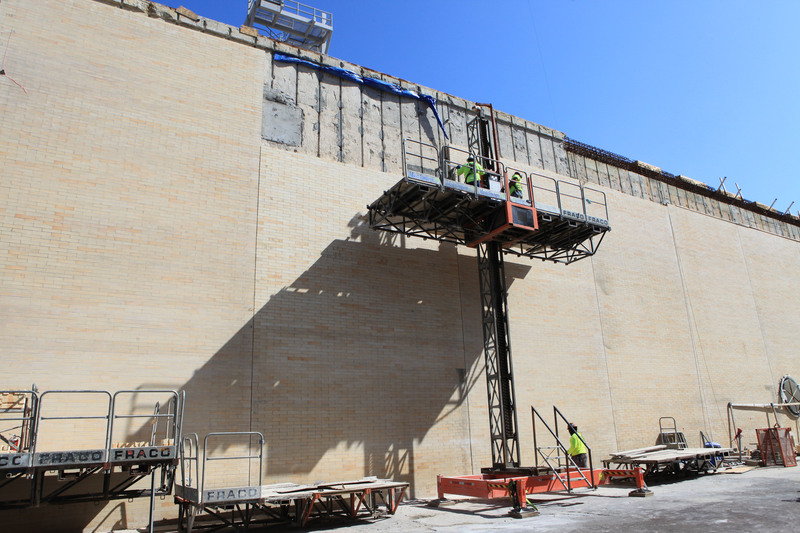 Construction workers with J.P. Donovan of Rockledge, Florida, are on an elevated work stand to install new heat-resistant bricks on the north side of the flame trench. The Pad B flame trench is being refurbished to support the launch of NASA’s Space Launch System rocket. 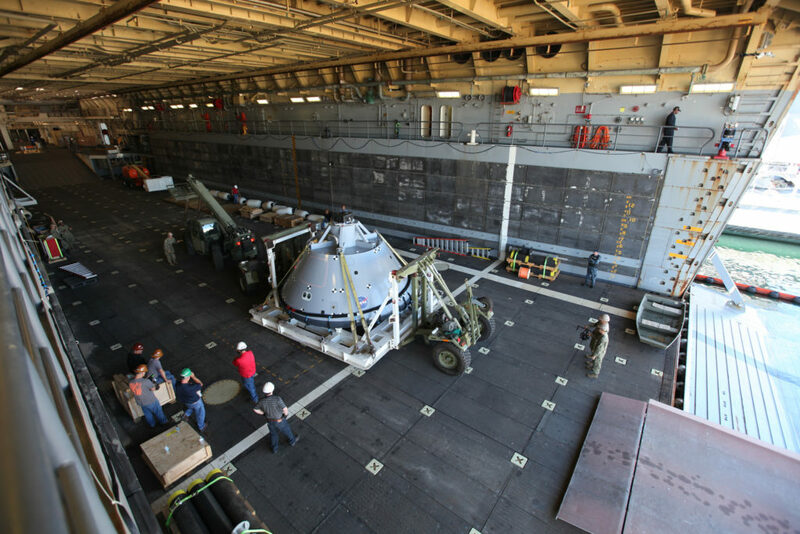 The Ground Systems Development and Operations (GSDO) Program at Kennedy is helping transform the space center into a multi-user spaceport and prepare for Exploration Mission 1, deep space missions, and NASA’s Journey to Mars. For more information about GSDO, visit: https://www.nasa.gov/groundsystems. 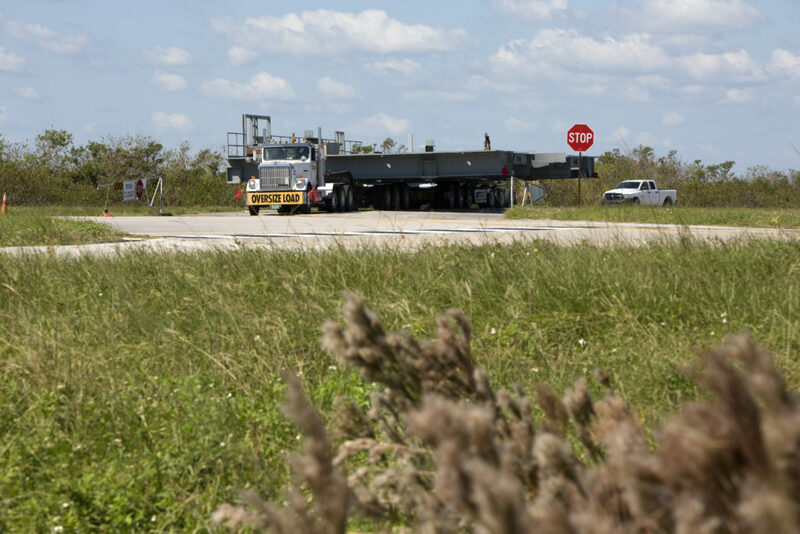 The first half of the B-level work platforms, B south, for NASA’s Space Launch System (SLS) rocket, arrived by heavy-load transport truck at the agency’s Kennedy Space Center in Florida on Oct. 21. 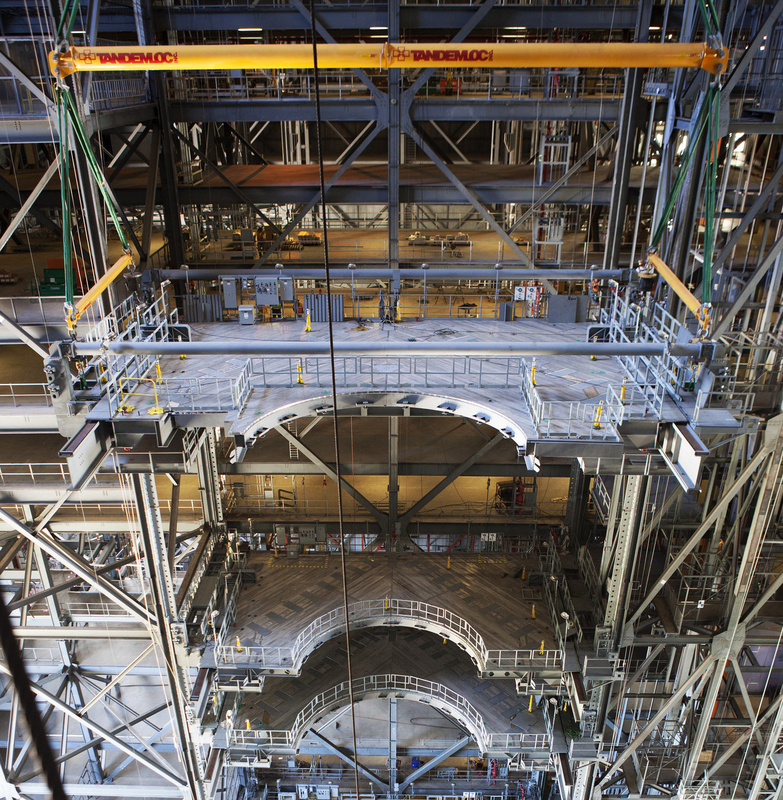 The B platforms are the ninth of 10 levels of new platforms for High Bay 3 in the Vehicle Assembly Building (VAB).